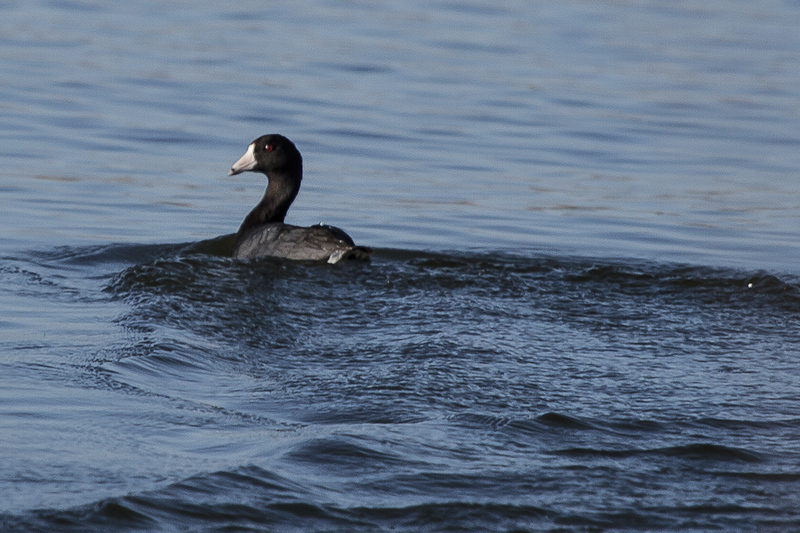 One of the birds I actually set out to find yesterday was the Double-Crested Cormorant. 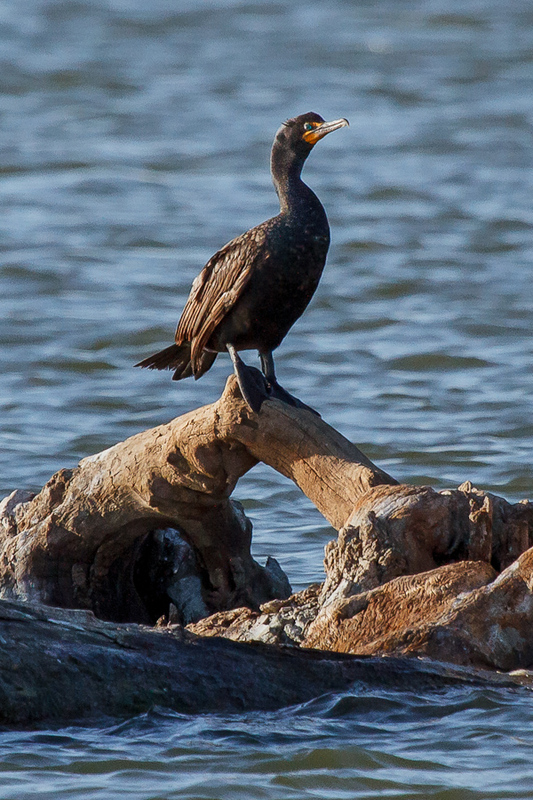 I’d recently found a few photos of Double-Crested Cormorants, and they are pretty intriguing birds. A well-known breeding site here in Colorado is at Chatfield State Park, another managed wetland and reparian area here in Colorado…also known as a Great Blue Heron breeding site. Chatfield is a bit farther away, and needs a bit more planning before I head out there (something I hope to do soon), however I figured if Cormorants migrated to Chatfield they would probably migrate to Cherry Creek as well. As luck would have it, I managed to find several of these birds, darkly feathered with brilliant orange beaks and vibrant, detailed blue eyes, hanging out where I spent the latter part of the day. 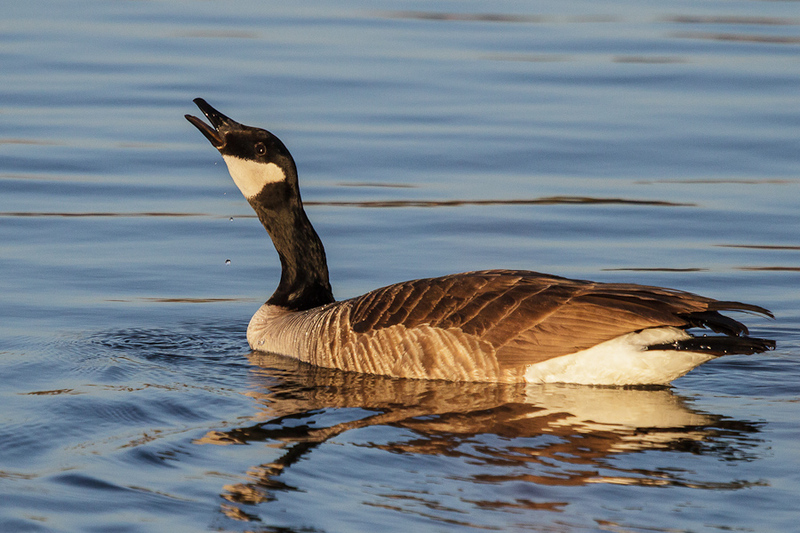 This was the same area where I found the nesting mother goose. While the closest of the Cormorants was a bit too far away to photograph with any amount of real detail with my current lens, I did manage to get a couple good shots. 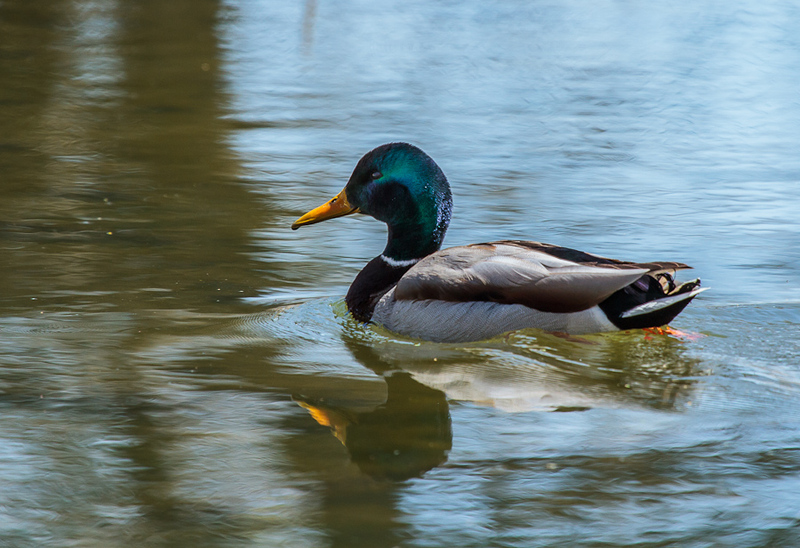 I kind of like the reflections in this shot…although I wish there had been fewer ripples. Just underneath the water, largely obscured by reflections, were some VERY LARGE fish…I would say 12-18 inches in size, grazing the sandy bottom. Every so often, they would rise as a group to the surface of the water, break through the surface in a tight knot, and then slowly descend again. Strange behavior…but then again…their fish. Howdy, I do think your web site could be having browser compatibility problems. Whenever I take a look at your web site in Safari, it looks fine but when opening in Internet Explorer, it has some overlapping issues. I simply wanted to provide you with a quick heads up! Apart from that, great site! Thanks for the heads up. The theme, Avid, requires modern browsers as far as I know (it uses more of the advanced features of CSS 3 and the like). If you are using an older version of IE (as in IE8 or older), then it does seem to have problems. I believe it works fine on IE9 and certainly IE10.